Visions of trucks being stuck at the border in the event of a ‘no deal’ Brexit should also remind people of the delays faced by Romanian companies exporting into the Schengen area, writes Stefan Radu-Oprea. We have all been watching the news on Brexit and the votes in the British Parliament which were full of suspense. The possibility of moving towards a no-deal Brexit remains present. In this context, my attention was drawn to an article on the customs clearance simulation between Ireland and the UK in a no-deal case, which would mean losing the benefits of the single market. A long line of trucks reflected the image of this unwanted scenario. I acknowledge and I empathize with the concern at European level about the possibility of facing such customs controls. The impact on the European economy is difficult to estimate, especially on the small businesses who are responsible for 85% of European jobs. However, the picture from the article reminded me of another European reality, one that should raise concerns due to its existence and daily effects. I am referring to the Schengen area. A curious person would focus on today’s images of the Romanian borders with the Schengen area. This image is not part of the phenomenon tagged on social media with #10yearschallenge, but is part of a #daybydaychallenge. The main investors in Romania are the Netherlands, with an investment stock of €19.6 billion at the end of 2017, followed by Germany with €9.7 billion and Austria with €9.5 billion. The main exporters from Romania are companies such as Dacia-Renault, Ford, Daimler, Rompetrol or Continental and the main categories of exported products are machinery and equipment for transport, manufactured goods, food and fuels, all of which are intended for European markets. As Minister for the Business Environment, I often meet foreign investors and entrepreneurs in Romania and discuss the losses incurred while exporting to the Single Market. Over 75% of Romanian exports, amounting to €67.7 billion, are directed to the Single Market. The lines at the border last for too long, sometimes from half a day to two days. The losses incurred by exporters, either multinational companies or SMEs, irrespective of the origin of their capital, are huge. 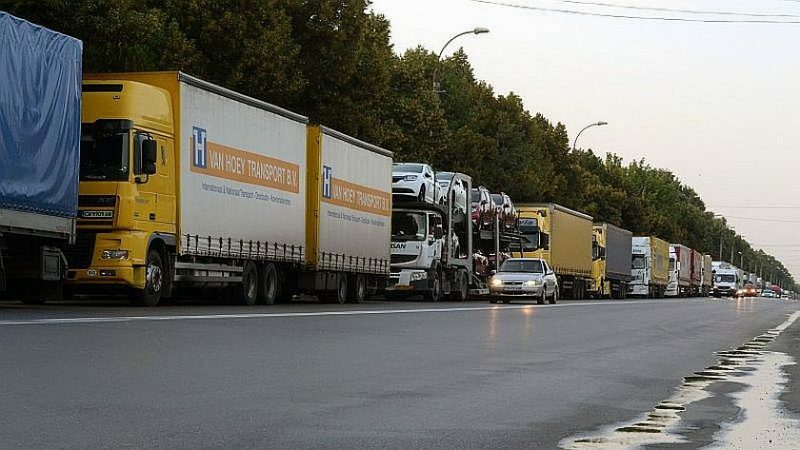 The traffic of trucks recorded at the border crossing point in 2018 was as follows: Hungary inward 1,037,113 and outward 1,245,418 amounting to 2,282,531; Bulgaria: inward 698,192 and outward 690,702, amounting to 1,388,894. If we count an average cost of €10 per hour and per carrier paid for the stationary time coupled with an average of 6 hours per truck spent at the border for customs checks, we arrive at losses of almost €137 million losses suffered by carriers. That is without factoring in penalties for delays and the current 10 hours waiting time of trains at the border. The competitiveness of the Romanian economy is also negatively affected. Given that the competition between neighbouring countries is not negligible, how many investments have been lost in favour of other member states, when making an economic analysis of future investment? The ‘just in time’ concept or the ‘warehouse/plant’ concept implies the ability to quickly and predictably supply the assembly line. Time spent in customs means direct costs for exporting companies but also for carriers. It is frustrating for Romanian exporters to always hear that, from a technical point of view, Romania is ready to join the Schengen area. Significant efforts have been made to modernize Romania’s customs infrastructure at its land, sea and air borders. Customs statistical data show that Romania is a safe country that fulfils its filtering role on a border of 1,330.5 km on the Eastern flank of Europe (the border with the Republic of Moldova – 681 km and Ukraine – 649.5 km) and the Balkan border with Serbia of a length of 546.5 km. What is missing is a political consensus of the Member States. When we speak about ‘Cohesion – a common European value’ and the future of the European Union, we should also take into account the needs of citizens and companies outside the Schengen area, such as Romania and Bulgaria. The deep pro-European feeling in this part of Europe could reduce if misunderstood by the politicians of the other Member States. I believe the voice of the business environment needs to be better heard by politicians when productivity and profit for companies are affected by artificial barriers. The final price of a product always reflects the costs. And this cost is at the expense of the European citizen.